The 4th and 5th lines are the message that will be displayed on the webpage - this can be changed if you wish. Lines 6, 7 and 8 are the form and the instructions on which template to return the input to, this is on Line 8, <input name="my-form" value="Send">. Once finished, save the file. If you open the file in your web browser you will see the layout below, although it will not function yet. Open IDLE and start a new Python file, save this file into the same folder as the templates folder, but not in the templates folder. In line 4 of the code it makes reference to the name of the template that you create before, my-form.html. Line 9 is the Print_me() function which prints the text to the Pipsta printer. The text = request.form['text'] takes the input that the you enter on the website and then runs the function that prints the text. Finally the program returns the message informing you that your message has been printed! return "You message is being printed"
The final step to accessing the printer is to find the IP address of your Raspberry Pi which you will connect to. 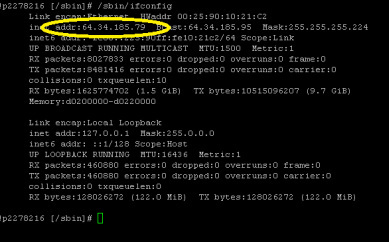 Note the IP Address and start the Flask application. On you other device open the web browser and in the address bar type the IP Address of your Raspberry Pi and you should see the message that was coded into your Flask app is shown. Using the most advanced computational algorithm know to Barry White, this app takes your name, hair colour ad shoe size and calculates your perfect crush. There are no errors this system is full proof and accurate. The program makes use of the Pipsta "print image" program and a simple HTML template allowing the user to interface with the complex Eros pheromone system.